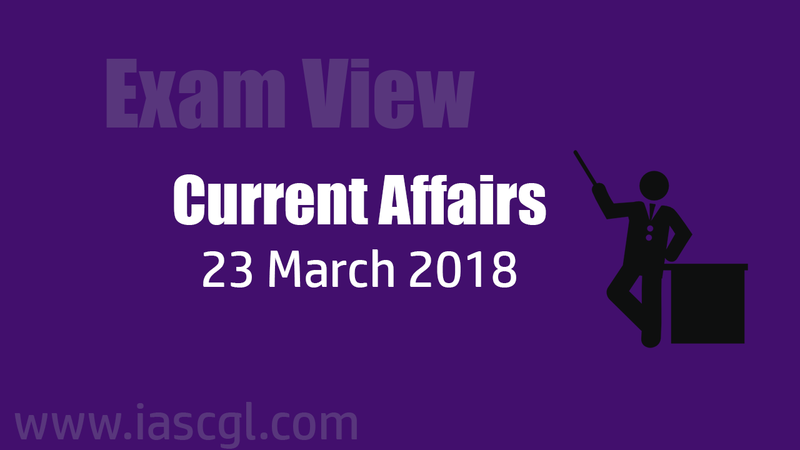 Current Affair of 23 March 2018, Exam View. Periyar Tiger Reserve is in Thekkady, Kerala, comprising the Periyar National Park and Wildlife Sanctuary. Besides being a tiger reserve, it is also one of the most significant Elephant Reserve in the country housing Asiatic Elephants. It comprises a range of tropical evergreen and semi-evergreen forests, moist deciduous forests, grasslands and eucalyptus plantations. Periyar and Pamba rivers flow through the reserve. In 2015, the Periyar Tiger Reserve won the National Tiger Conservation Authority biennial award for encouraging local public participation in managing the Reserve. The Union Cabinet on Wednesday approved the launch of ‘Ayushman Bharat — National Health Protection Mission’ (AB-NHPM). The Union Cabinet recently approved the launch of ‘Ayushman Bharat — National Health Protection Mission’ (AB-NHPM). 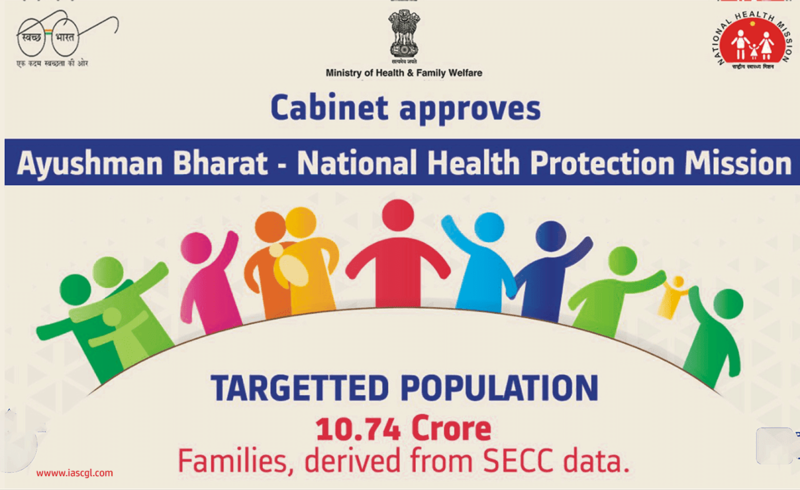 The Union Cabinet also approved the continuation of the National Health Mission with effect from April 1, 2017 to March 31, 2020 with a budgetary support of Rs. 85,217 crore as Central share over this period. It also gave its approval for moving official amendments in the ‘Surrogacy (Regulation) Bill, 2016’, an official release said. This Bill proposes to regulate surrogacy in India by establishing National Surrogacy Board at the central level and State Surrogacy Boards and Appropriate Authorities in the States and Union Territories. The Pradhan Mantri Sahaj Bijli Har Ghar Yojana – “Saubhagya” – is the Centre’s household electrification scheme. It aims to connect all households with electricity connections by December 2018. The World Water Day is observed every year on 22 March to spread message of preservation and rationaal consumption of water.The day puts emphasis on the importance of freshwater and to advocate for the sustainable management of freshwater resources. It focuses attention on importance of universal access to clean water, sanitation and hygiene (WASH) facilities in developing countries. It explores how nature can be used to overcome the water challenges of the 21st century. The theme this year is ‘Nature for Water’. The United Nations General Assembly responded by designating 22 March 1993 as the first World Water Day to a recommendation made in Rio summit 1992. Cape Town, one of the richest cities of Africa, has been reeling under one of the worst ever water crisis. The Rajya Sabha passed the Payment of Gratuity (Amendment) bill. The bill would enhance the ceiling of tax-free gratuity to Rs 20 lakh from existing Rs 10 lakh for employers under the Payment of Gratuity Act. It is applicable to employees, who have completed at least five years of continuous service in an establishment that has 10 or more persons. Union Cabinet today approved the decision to shut down the Indo-Development Foundation of Indians living abroad. In the meeting of the Union Cabinet on Wednesday evening under the chairmanship of Prime Minister Narendra Modi, the Indian-Development Foundation (IDF-OI) of Indians living abroad was allowed to close. According to official sources, this step was taken so that the coordination could be extended to give direction to the contribution of NRIs for the major programs of the government such as National Clean Ganga Mission and Clean India Mission.